Lynita Mitchell-Blackwell joined the firm in 2018 as an Associate Attorney. She relocated to Birmingham in 2017 upon her husband’s appointment as pastor to a local church in downtown. Prior to relocating from Douglasville, Georgia, Lynita practiced 11 years in small business and entrepreneur, residential real estate, estate planning, and family law. She is also a Certified Public Accountant. 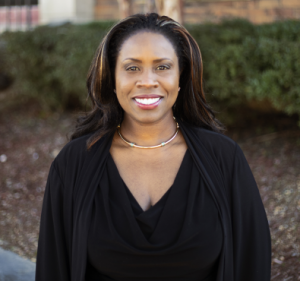 Lynita served as president of the Georgia Chapter of the American Academy of Attorney-CPAs, president of the Georgia Association of Black Women Attorneys Foundation, and has been recognized as a Top 100 Attorney by the National Black Lawyers Top 100 in Georgia. Lynita is licensed to practice law in Alabama and Georgia. She enjoys serving in the community and being mom to her amazing daughter.